Since this port was discovered as a prime vacation spot in the 1960s, it has become home to luxury resorts and beautiful villas. But, the city's tranquil past is still evident in its charming courtyards, cobblestone streets and markets. The most popular excursions visit Gringo Gulch, the town square and unique cathedral. 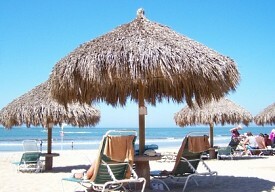 There's always shopping and horseback riding or relaxing on the beach.